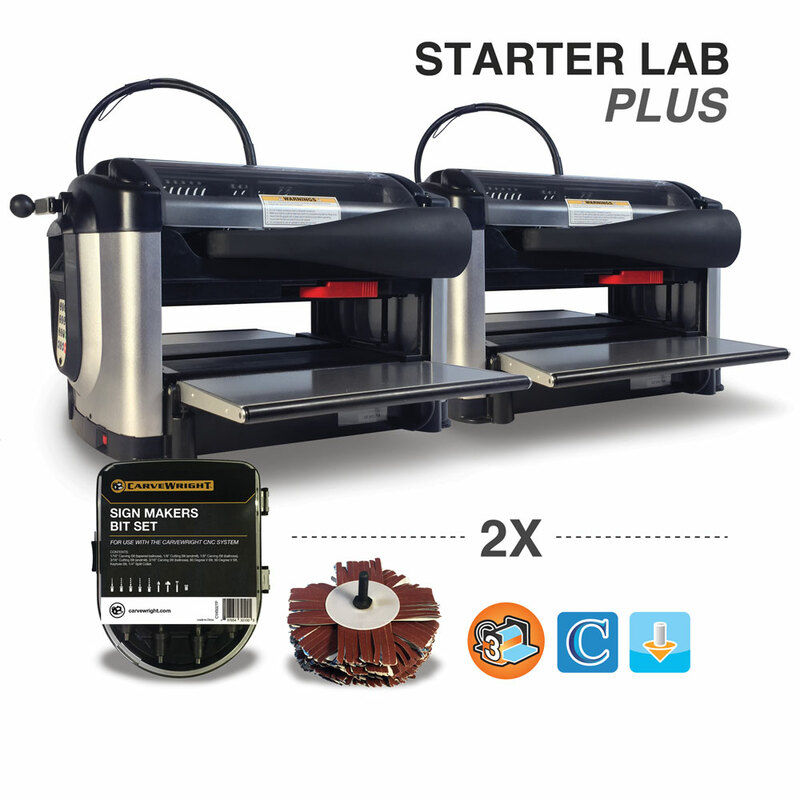 These LAB packages are pre-configured with classrooms and makerspaces in mind. They simplify the process of deciding what will be needed for most classrooms and budget situations. If these packages do not fit your needs, contact us for a quote. This is a great starting point for any classroom or Makerspace. One CarveWright CNC Machine outfitted specifically for the system’s most popular uses. 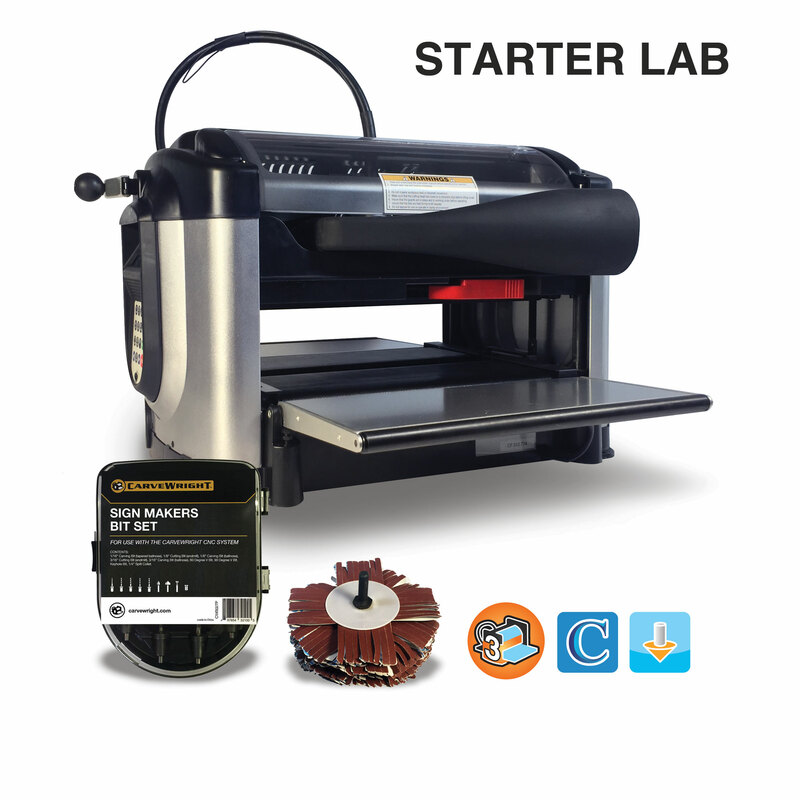 Use it to create decorative carvings, signs, part cutting, lithophanes, and much more. Your imagination is your only limit. The Dragster LAB is focused on technologies education for small classrooms or Makerspaces involved in the CO2 Dragster competitions. 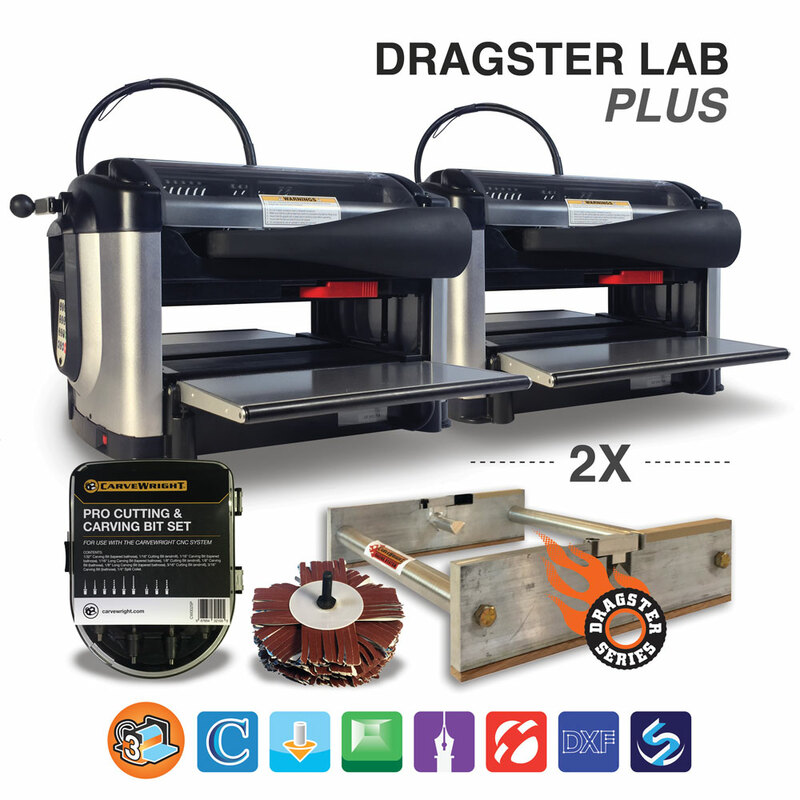 This accessory and software bundle is configured with everything needed for classrooms needing a CNC to produce CO2 Dragsters for competition. This package is ideal for a small classroom or Makerspace that would like to explore the full range of software and bits as well as the 3D Scanning Probe. This is an exciting and full featured package which includes both the C02 Dragster Jig or the CarveWright Rotary Jig. This is a great starting point for a larger classroom or Makerspace. Two CarveWright CNC Machines outfitted specifically for the system’s most popular uses. 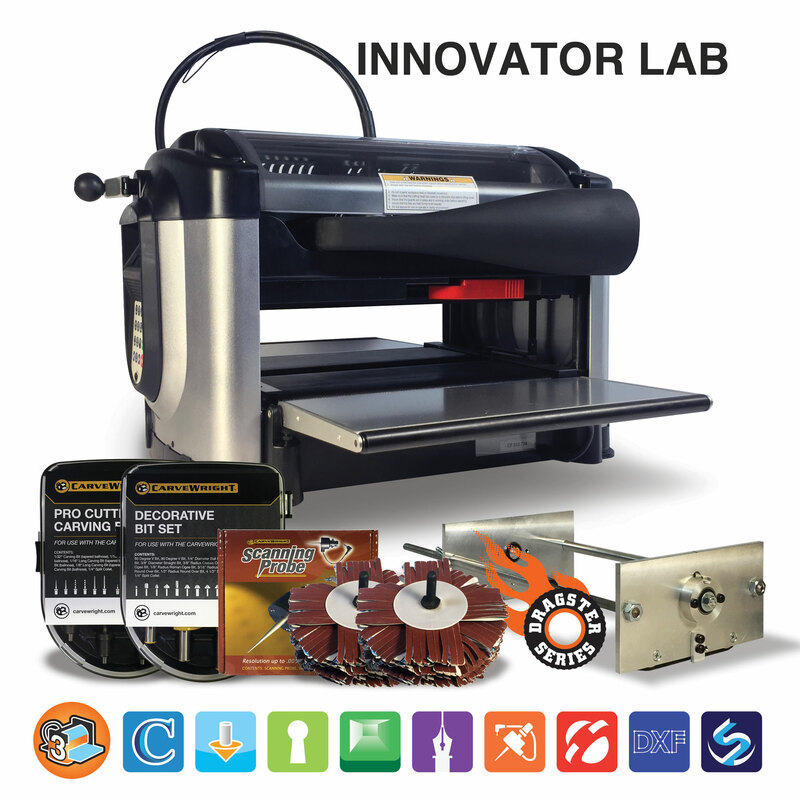 Use it to create decorative carvings, signs, part cutting, lithophanes, and much more. Your imagination is your only limit. The Dragster LAB is focused on technologies education for larger classrooms or Makerspaces involved in the CO2 Dragster competitions. 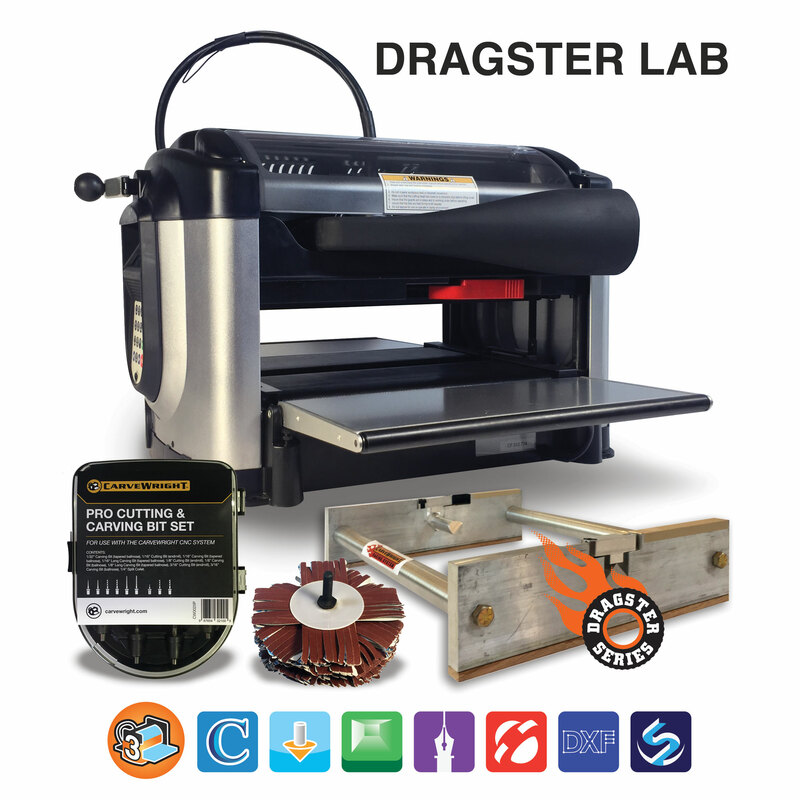 This accessory and software bundle is configured with everything needed for classrooms needing a CNC to produce CO2 Dragsters for competition. 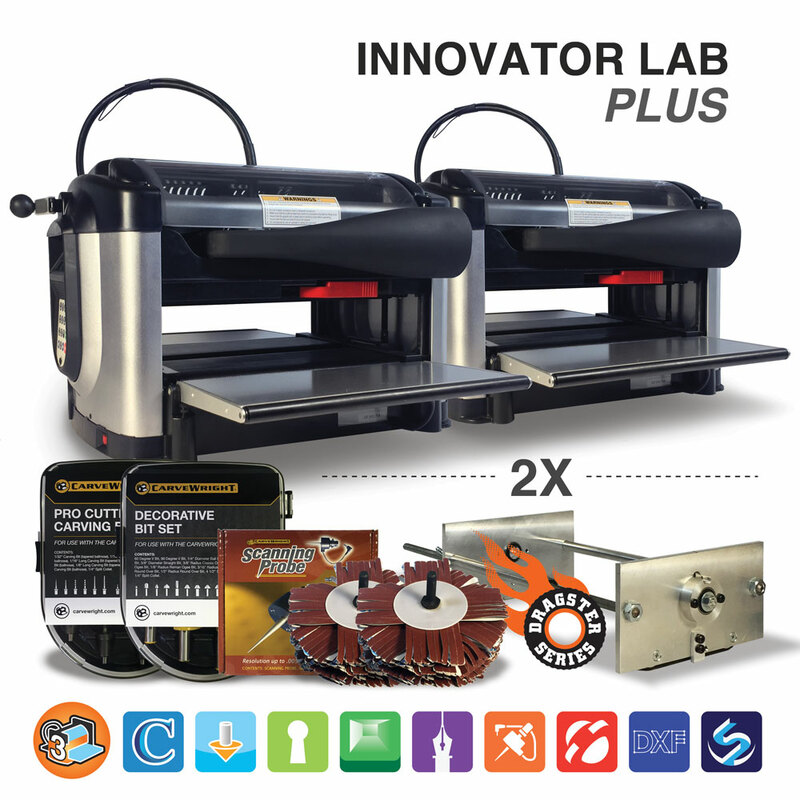 This package is ideal for a larger classrooms or Makerspaces that would like to explore the full range of software and bits as well as the 3D Scanning Probe. This is an exciting and full featured package which includes both the C02 Dragster Jig and the CarveWright Rotary Jig.